Indoor climbing walls have been all the rage for years now. They are one of those adrenaline fuelled self-confidence building activities which don’t compromise your safety and are great for getting rid of fear of heights and flabby stomachs once and for all. 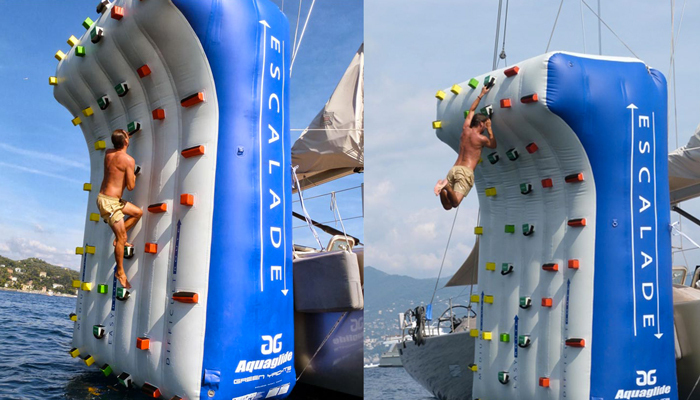 If you are a daredevil, and would like to try climbing one of these walls, but in a completely different environment, why not try the Inflatable Climbing Wall designed by Mattia Massola from Italian company Green Yachts. What’s the difference between the regular indoor wall and this one, you might wonder? 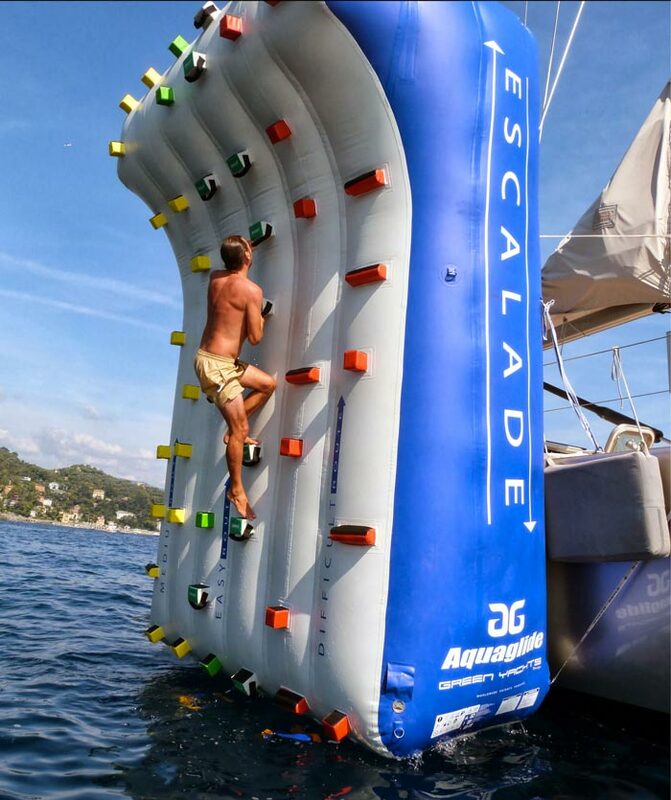 Dubbed ‘The Super Yacht Toy’, the inflatable Climbing Wall is positioned above the body of water (sea, ocean, lake), attached to a yacht by 14-rope-attach points, and totally customizable. You can choose your colour of preference, height, width, and shape of the wall (the more undulating the wall is, it’s tougher to climb it), and even put your logo on the side of it. 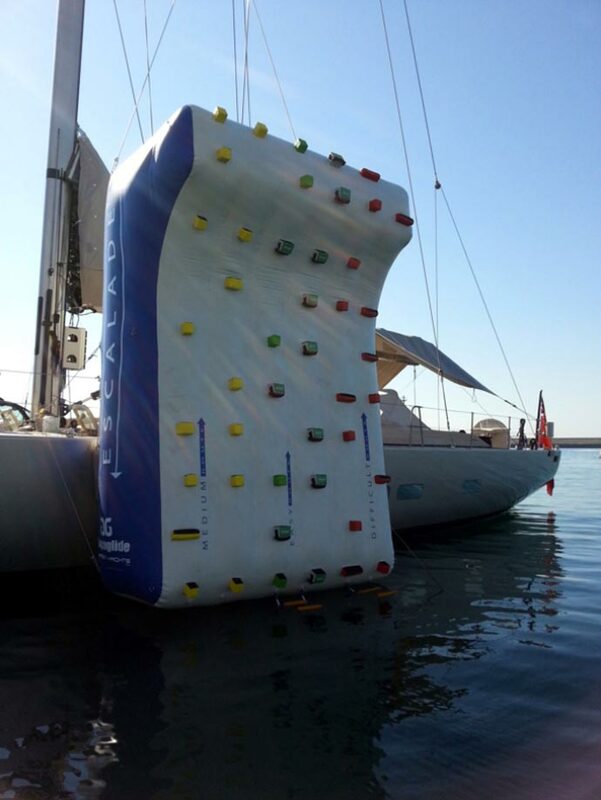 The inflatable Climbing Wall is made of top quality fire resistant 0.60 PVC and it is very easy to inflate and deflate. Believe it or not, it takes only 17 minutes to fully inflate it. It is suitable for absolute beginners and the people who have some climbing mileage under their belt. The Wall has three different climbing routes, with each route marked by different colour to indicate the level of difficulty (green=easy, yellow=medium degree of difficulty, and red=difficult). The courses have been designed by professional rock climbers. 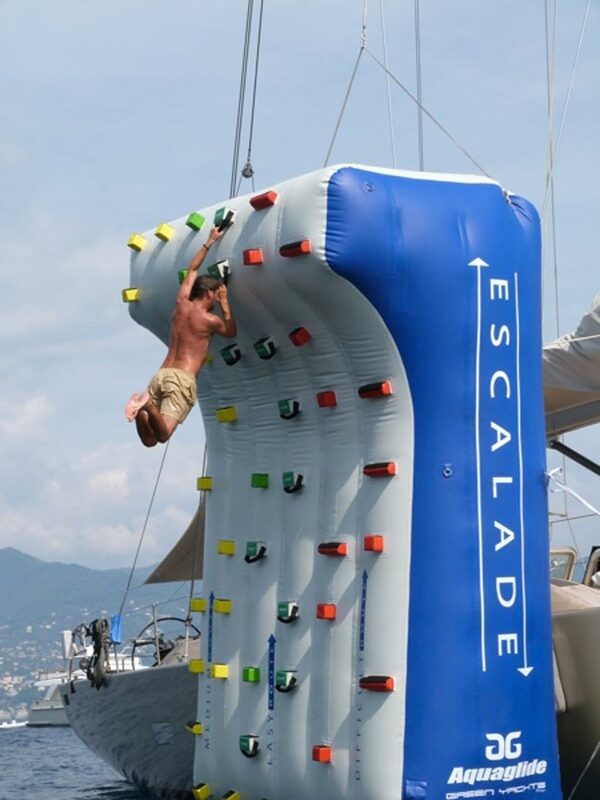 The size of the inflatable Climbing Wall is 5 m x 3 m, it weighs 110 kg, and it comes with adjustable buffers and rope ladder which is rather easy to climb.